The story’s been the same when it comes to playing the San Antonio Rampage this season. 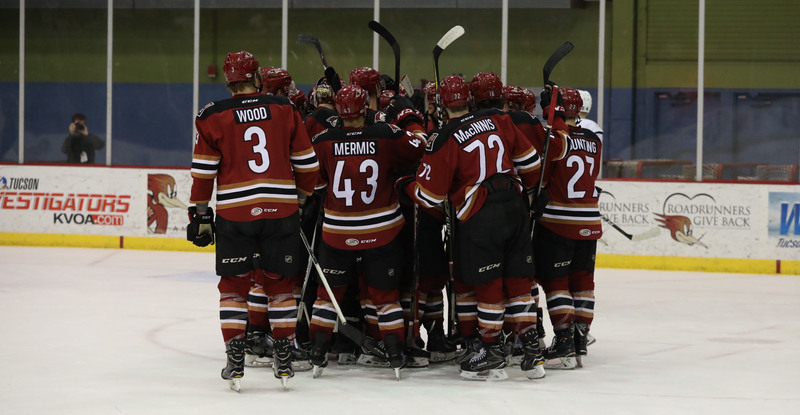 Friday night, the Roadrunners escaped with a 2-1 overtime victory at Tucson Arena – their third of that exact variety in the teams’ three meetings. Lane Pederson gave the Roadrunners a 1-0 lead with 4:05 left to play in the first period when he beat San Antonio’s Ville Husso with a shot to the far side after receiving a pass from Laurent Dauphin. Pederson’s goal, his 10th of the season, was his fourth in the team’s last six games. San Antonio tied the game 1-1 on a shorthanded marker by Shawn Ouellette-St. Amant with 9:17 left in the second period. Following a scoreless third period, the Roadrunners entered their 12th overtime game of the season. After winning a defensive zone draw just over a minute into overtime, Laurent Dauphin fled up the left side into San Antonio territory and fired a shot that ricochet off of Mike Sislo and into the net. Sislo’s goal, his 17th of the season, secured a 2-1 overtime victory. The Roadrunners are now 8-2 in overtime this season, and 9-2-1 in games that extend past regulation. Laurent Dauphin provided assists on both of the Roadrunners’ goals; he now has 15 points (5G, 10A) in 16 games with the team since being reacquired on January 10. The team upped its win total to 29 with the victory, matching their mark from the inaugural season, when they finished with a 29-31-8-0 record. Adin Hill stopped 31 of 32 shots faced in the win, earning his fourth-straight victory. 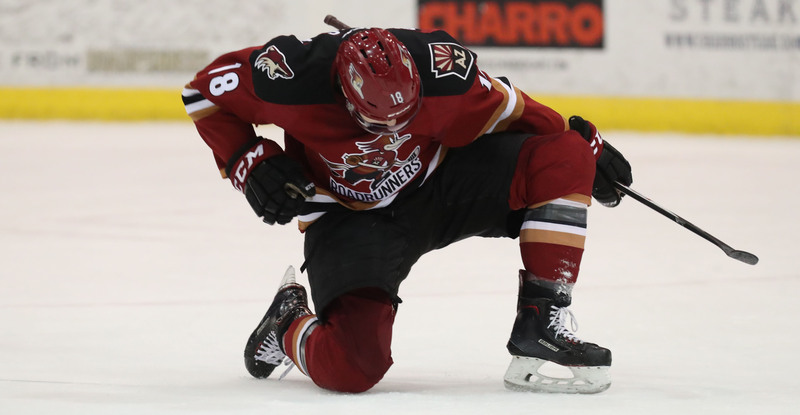 The Roadrunners will cap off their four-game home stand Saturday night in a rematch with the San Antonio Rampage at Tucson Arena, where the puck is scheduled to drop just after 7:05 PM.